The Tecsun PL-660 is the logical successor to the PL-600 and earlier (and very different) PL-550 sharing a similar cabinet size and style. As of this writing it is available through eBay from China for $85 + $28 shipping or a total of $113. It is also available from Amazon fulfilled via Kaito USA for $101.50 – although oddly I can’t find it on Kaito’s own web site. Shipping from Amazon will vary from nothing upwards depending on your shipping method. There are advantages to each source. Clearly, for US buyers, Amazon is cheaper and you have a US warranty should you get a bad sample. Not as obvious though is the fact that you may get the latest version buying directly from China which is what I chose to do. My radio has a date sticker of 03/2011 in the battery compartment…my unit was shipped in April so that is recent production, unofficially referred to as Version 3. These days it seems that these radios are modified and updated with virtually every production run. * Users frequently report improvements in all aspects of performance, from reception and sound quality, to how long the back light stays on after each key press. 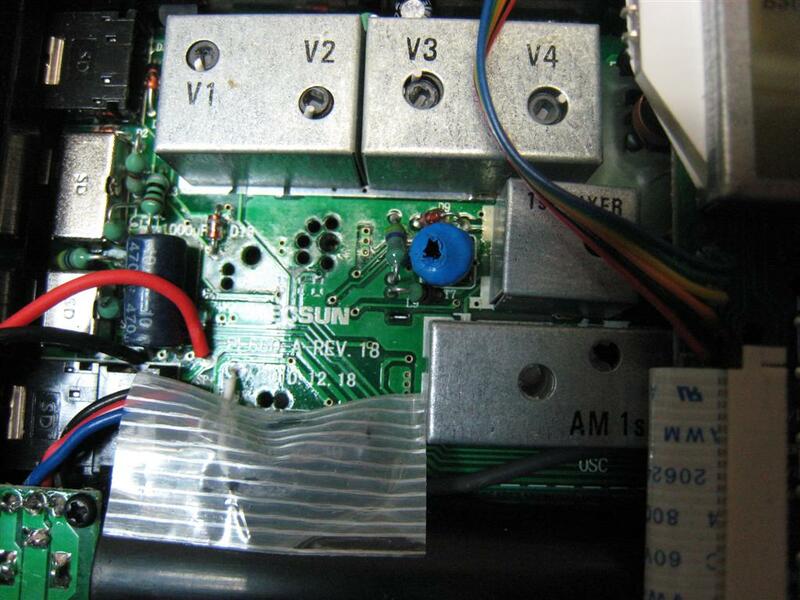 To be clear, even buying on eBay from China you still get the manufacturer’s 1year warranty, but for a $100 radio it is not usually worth the cost of shipping it back for a replacement. 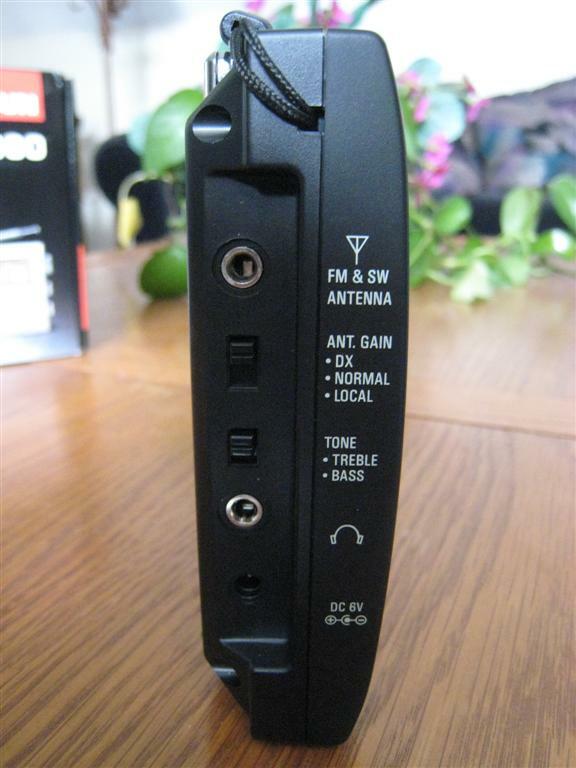 *Speaking of updates I note that the Degen DE-1103, originally introduced many years ago, and still one of my reference portable radios, is still being upgraded according to the Chinese eBay sites. Compare this with the old Code Set chart where you had to enter a special Code Set Mode, then enter numeric values to adjust these settings. This is a big usability improvement. Basic operation is a snap. Pressing the power button by default invokes the Sleep Timer for 30 minutes, after which the radio shuts off. Or you can hold the button down for a second and dial a different sleep time from 120 minutes down to 1 minute or “ON” to defeat the Sleep Timer. That becomes your new default so each time you turn the radio on that’s how long it will operate unless you decide to change it again. Pretty standard and simple. Band selection is easy: Press FM, AM or SW Bandbuttons (there are 14 SW Meter Band Selections). Press the Step Button to select Fast,Slow or Automatic Fast/Slow tuning steps. Tune via the knob or from within any mode (FM/AM/SW/AIR) directly enter the frequency with a minimum of keystrokes. In other words, for 15210 MHz, simply press 1 5 2 1 0 and you’re there. No extra Enter or Band buttons to press before and after…a plus. ATS works as expected but there are some cool options. For example, you can monitor its progress and accept or reject each of its choices as they progress, or you can enter “browse” (scan) mode and select any individual result to enter into memory. It worked well here with few false positives and few missed signals. The Light function is slightly unusual. It only remains on for 3 seconds after any button press or tuning operation, but if you press the Light button it will stay on for 30 seconds. It can also be turned off if desired. The manual incorrectly states that it can be permanently switched on…it cannot. The tone control is useful and the three position Local/Distant switch functions on all bands except Air. 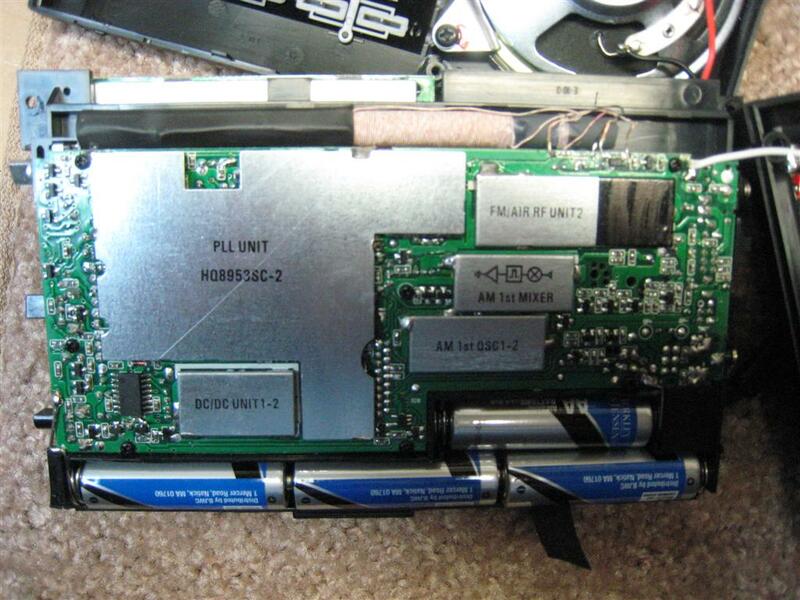 Battery Charging: Because I use so many radios I don’t use rechargeables so I can’t report my findings in this area. 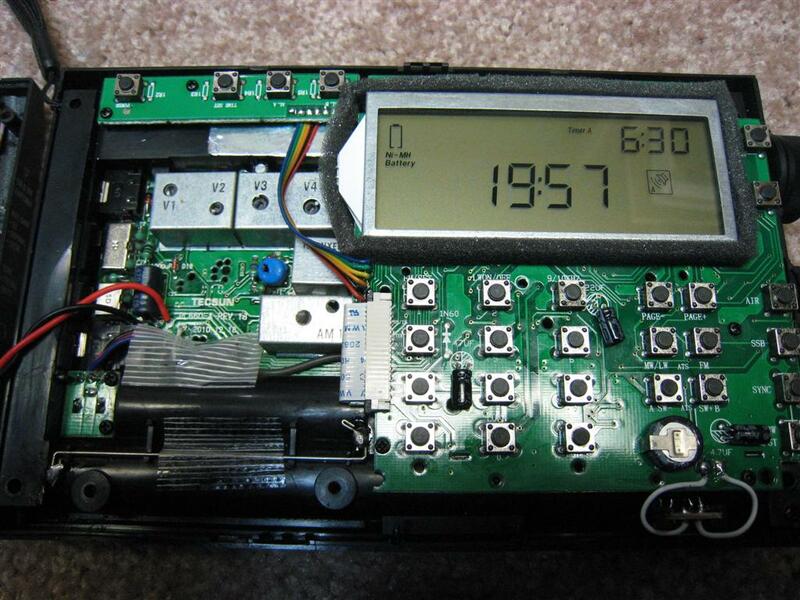 But I did note that the PL-660 has no charging time settings as on most such radios. I’d like to think this means it uses smart technology to actually judge the capacity and state of charge, and auto-adjust itself as needed but with the four AA cells in series it definitely can’t measure each cell independently as the best stand-alone chargers do. I tend to think it is probably a fixed-timed charge. Perhaps someone who is interested in recharging batteries can experiment and let me know more…if someone does I’ll pass that info along. SW Performance is wonderfully sensitive and selective. Using the whip antenna my PL-660 was able to receive every signal at least as well as any of the other radios in the group and that was good news. Adding the supplied wire antenna or a common 23 foot reel-up antenna increased the gain far more, making the radio able to receive any signal I could receive on any receiver here with an indoor antenna. In fact it was necessary on some signals to use the three position sensitivity switch to reduce the gain, even during the day when SW signals are weakest here. The two bandwidths seem to be well chosen and effective, allowing great clarity on good signals and tighter bandwidth on crowded signals. Fortunately the excellent Synchronous Detection usually lets you stay in Wide Bandwidth mode even with tightly spaced SW signals. Synchronous Detection is excellent too. Compared with my G3 (the best of three samples) and my DE-1106 (best of two samples) the PL-660’s sync works wonderfully well. It locks onto almost any signal, even very faint ones, and even if the signal fades to nothing it never makes any bad sounds when it loses then re-establishes lock. It is also seamless while tuning in Fast Mode or via direct entry but I generally recommend tuning with Sync off, then turning it on as desired. In other words IT REALLY WORKS with few side effects. It not only works very effectively at ignoring interfering sidebands from neighboring signals, greatly enhancing selectivity over comparable non sync-equipped radios, but it also sometimes dramatically improves the quality of marginal signals, lifting their audio up out of the noise to a noticeable degree. My sample shows slightly sharper audio in Upper Sideband Mode and slightly duller audio in Lower Sideband…this is usually an alignment issue and I expect units will vary in this regard. In this class of portable radio this is not bad…similar to what I experience with my Sony 7600GR, but overall the sync seems to improve marginal signals on the PL-660 more than on the 7600GR. I also found I could tune up or down 1KHz and the unit remained locked which also can eliminate this slight response difference…my small Degen and Grundig sync radios must be tuned exactly to the desired frequency to lock, so this is a bit of a step forward here too. SSB Reception is also very good. 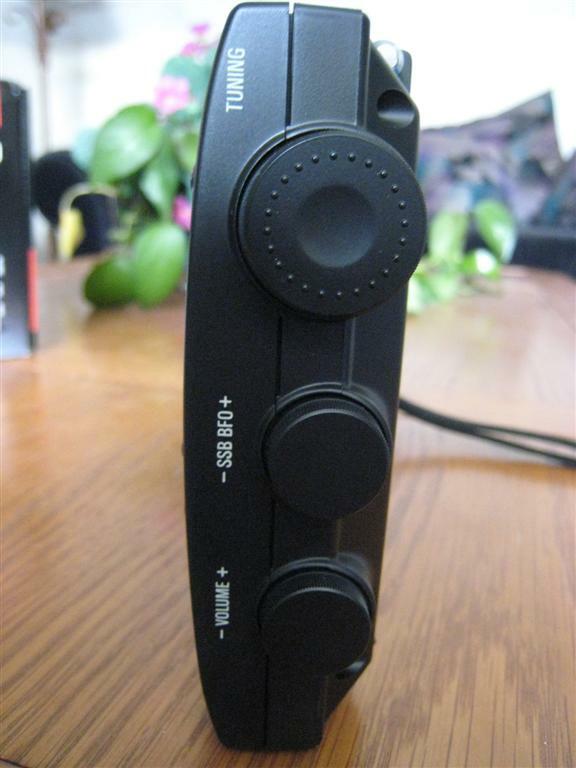 With selectable Upper and Lower Sideband modes and a BFO Fine Tuning knob I was easily able to get natural voice quality and it was solid and stable. FM reception is also very good…quite sensitive and selective. I was able to hear many adjacent signals with no interference from the neighboring signals and I picked several distant out of town signals with ease. Comparing it with my references it acquitted itself very well, receiving some signals as well and occasionally better then the references, sometimes not as well. 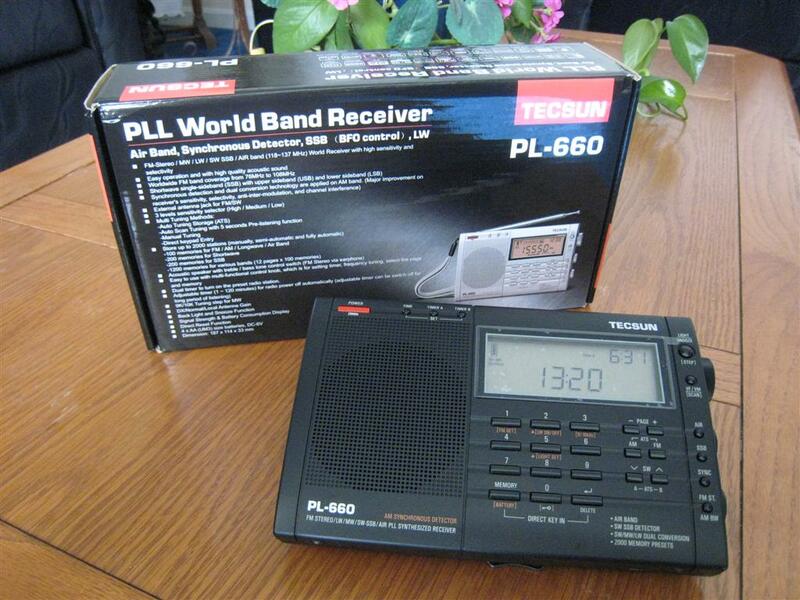 This is common when comparing portables on FM – I attribute it to differences in a combination of sensitivity, selectivity and other characteristics, but the bottom line is that the PL-660 is an excellent FM tuner and I think you will like it. Of course, stereo via headphones was full sounding with good separation and sounded great. AM Reception unfortunately is a bit of a disappointment. 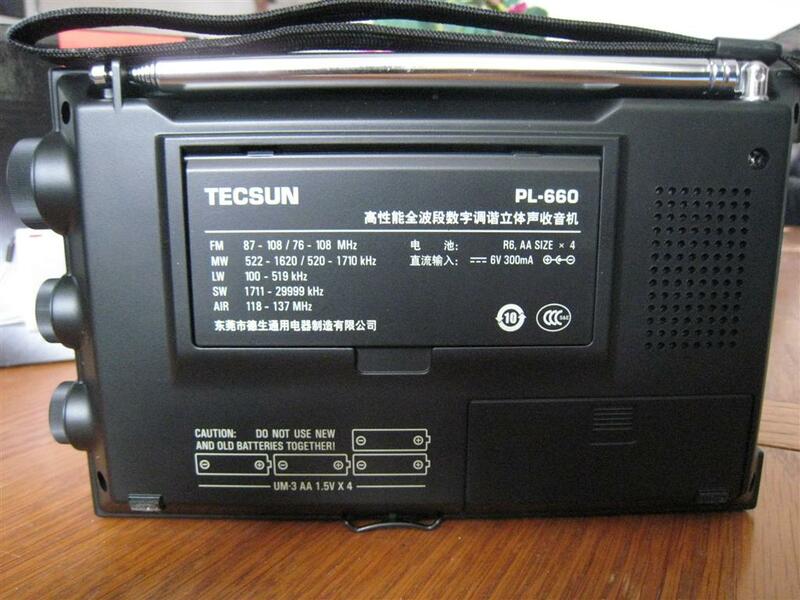 Compared with the radios mentioned at the outset the Tecsun is just plain noisy on AM. (My friend’s PL-660 is the same), as is the predecessor PL-600, so I feel this is probably typical for these. It seems to pull in weaker signals quite well but the noise level does not decrease as fast as it should as signal levels increase so even my medium strength suburban level stations have an underlay of noise not present on most other decent radios. On a positive note I detected virtually NO digital hets or spurious noises which is refreshing in a day when most of the new portables suffer from this problem. It also responds well to a small passive loop, but it is also unfortunate that the antenna jack does not function for AM. Air Band: I’ll admit I haven’t spent much time listening to Air Band in general so I can’t give you comparative results, but I did hear some signals from the International Airport about 15 miles from my location. Fast/Slow Automatic Tuning: The PL-660 can be set to Fast, Slow or Fast/Slow (Automatic) tuning speeds which greatly enhances band scanning and fine tuning. I wish the Fast/Slow switchover was a bit more responsive though. In that mode it starts at Slow and stays there until you speed up your tuning rate…then it switches to Fast mode for quicker band scanning, then reverts to Slow when you stop tuning to allow fine tuning…unfortunately it sometimes fails to switch to Fast as soon as it should so you end up spinning and spinning the tuning knob until it switches to Fast. I’ve seen this before – a great feature but not perfectly executed. This is exactly the kind of thing that could be addressed in a future upgrade. Of course you can disable the auto Speed function by selecting either Fast or Slow. 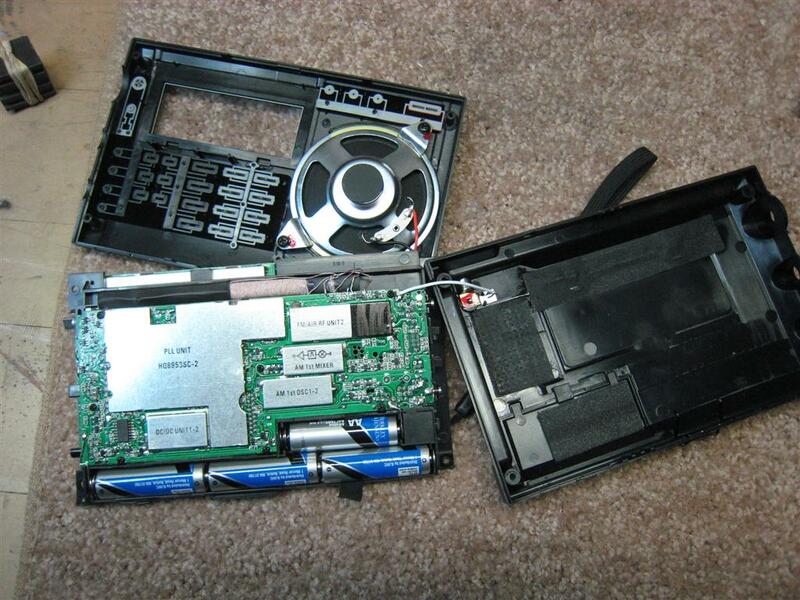 Disassembly will void your warranty as you have to puncture two round seals in the battery compartment to remove two hidden screws, along with 4 visible perimeter screws on the back panel. Re-assembly is tricky…there is a small plastic collar which supports the tuning encoder pot and it is rather difficult to get it repositioned properly. I had wondered if I might be able to slide the coil on the ferrite rod to improve the AM as on the G8 but this coil is clearly not going to be easy to slide…I decided to leave it alone. You also have to take care in re-assembly to position the buttons at the top left correctly with their front panel actuators or they can become harder to actuate so unless you have a compelling reason to go inside you may want to leave it alone. Conclusion: As I said at the start, I had high hopes for this radio and with the exception of AM reception they were mostly met. 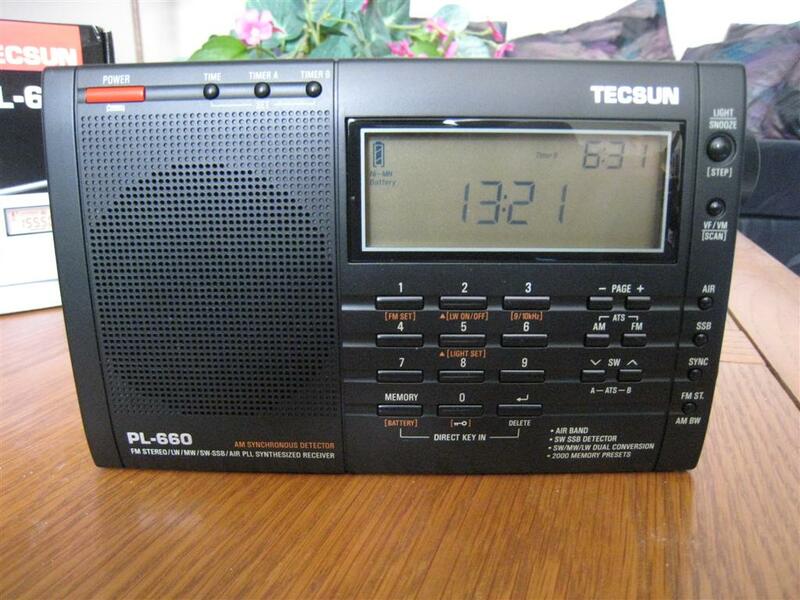 As a Shortwave or FM portable it offers excellent performance and an easy-to-use feature set. It’s the first modern Chinese portable to offer Synchronous Detection that helps more than it hurts and its SSB Operation is easy and precise. But I am an AM junkie first and foremost and I am disappointed at the overall performance of the AM tuner. Its weak signal sensitivity and absence of spurious digital noises are very good but its inability to achieve better signal to noise performance as signal levels increase is a big drawback for me. So I will grab the PL-660 for SW or FM listening but for AM there are better choices. Click below to see it on Amazon.